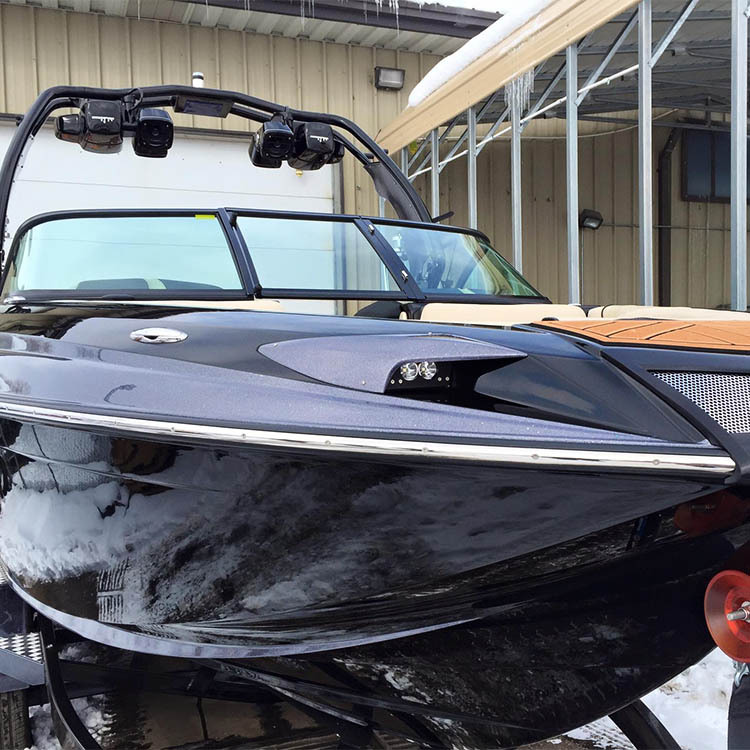 Ceramic Gelcoat is a process offered on Centurion and Supreme boats through BoardCo that makes your boat easier to maintain, keeps it looking better long-term and improves the overall appearance. 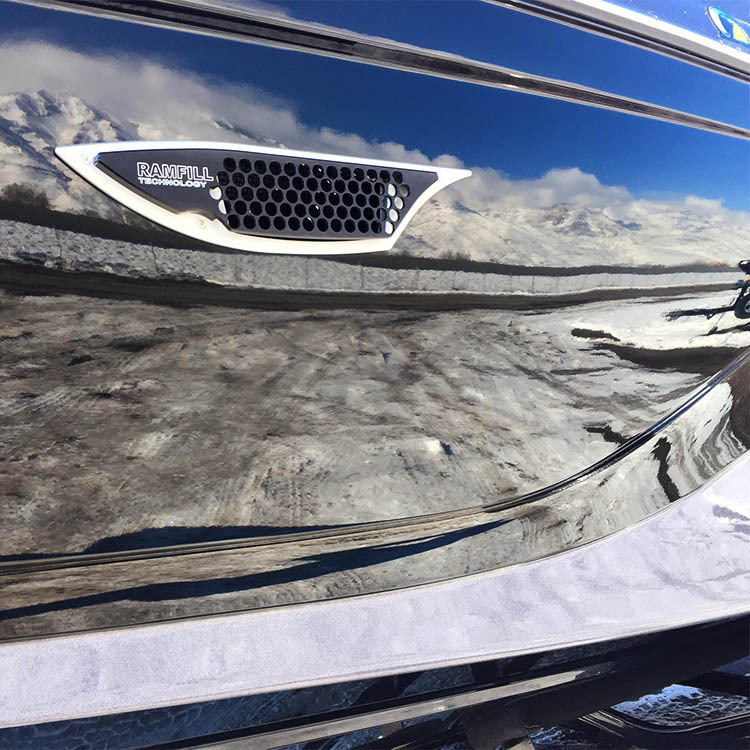 This is achieved through a nanotechnology process that puts an ultra-thin layer of ceramic grade coating across the gelcoat on the boat. 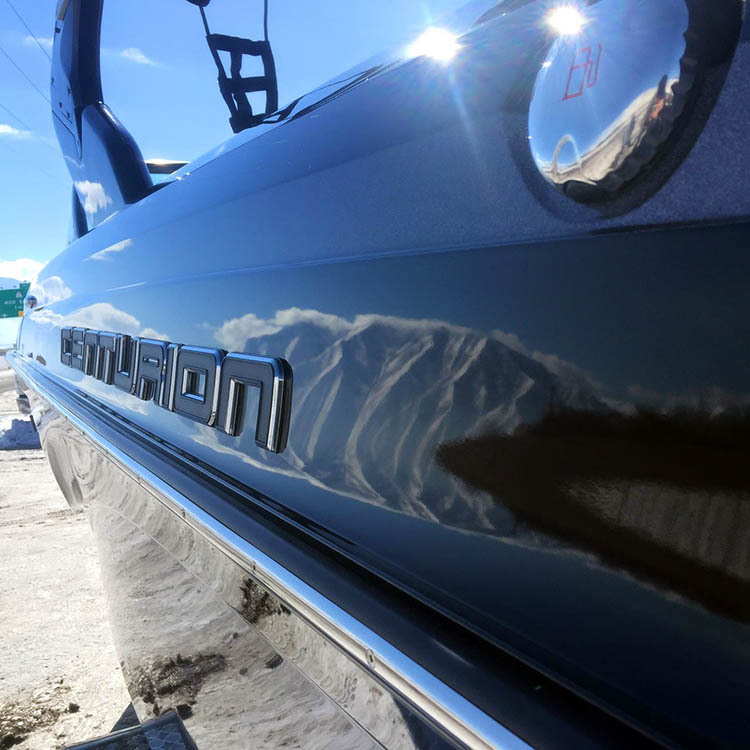 This technology, which has been used on high performance sports cars for years, is now available on new Centurion and Supreme boats through BoardCo. The Ceramic Pro coating process takes traditional gelcoat that is relatively soft and porous and transforms it to be extremely smooth and uniform. Ceramic Gelcoat is so smooth that water has a difficult time sticking to the surface and therefore does not have time to harden into water spots. Water spots on a boat with Ceramic Gelcoat are reduced significantly and any water spots that do appear are removed much easier. A boat that sits in the water for days can now be polished clean with water and a towel in minutes instead of harsh chemicals and hours of scrubbing. The Ceramic finish also protects against UV rays and oxidation on your gelcoat. No more water spot remover, no more wax and no more buffing. In Addition to reducing the time and effort required to keep your boat looking good after a day on the water Ceramic Gelcoat also looks better than traditional gelcoat. 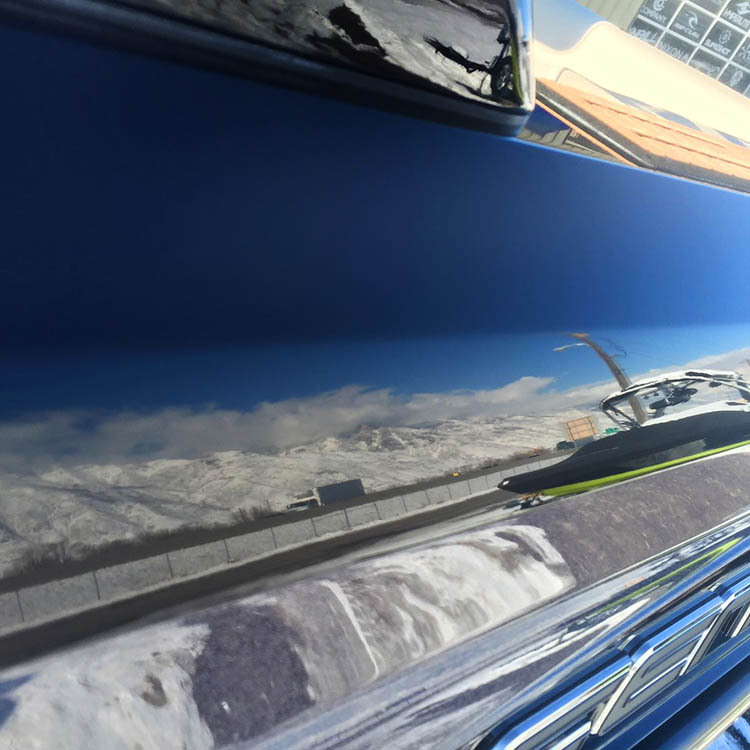 As part of the Ceramic application process the gelcoat is polished to a high gloss before being sealed, creating a mirror-like finish on the boat. This high polish finish stays over time and enhances the look of an already beautiful boat. Watch the video below for more information and watch us spray “ultimate strength – bonds to tough surfaces” white paint on a brand new black Centurion Ri237 to show how well Ceramic Gelcoat protects the boat. For more information on Ceramic Gelcoat contact us and we will be happy to show you more.